PHOTO CAPTION: Genealogist Henrietta Christmas, President of NM Genealogical Society, shares information on The Baca Family lineage and history to conference participants. Find us around New Mexico at the following events. April 24, 2019 El Rito Clinic (healthcare professionals) 3 p.m. to 4 p.m. If you are planning on registering for one of our conferences you can speed up the process for DNA testing by submitting your Family Tree ahead of time. The Family Tree template can be downloaded under “Resources.” Fill it out on the family side where you believe you have a Baca family member. Scan and return to us via email to nchavez@angioma.org. Please indicate in the subject of the email which conference you plan to attend. 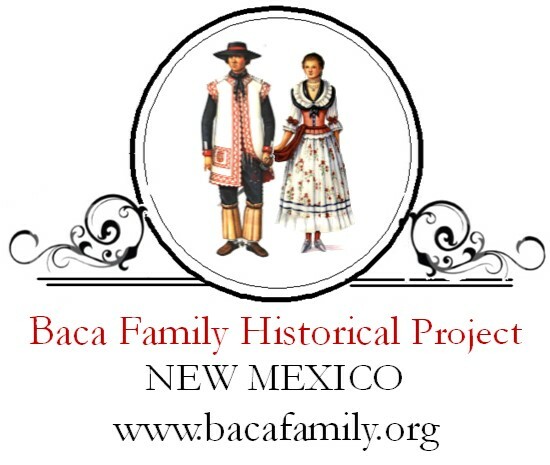 If you are a direct descendant of Cristobal Baca II and Ana Lara you will be contacted by our genealogist, Joyce Gonzales. Please email or call us at 505-450-5902 for further questions. We will provide free DNA TESTING to participants who are first degree relatives (parents, siblings, children) of an individual already identified as having a CCM1 Common Hispanic mutation. The following will receive subsidized testing for $100 (our cost is $175). If your test is positive, your fee will be refunded. 2) Your genealogy verifies that you are a direct descendant of specific grandchildren of Cristobal Baca & Ana Moreno de Lara (we offer assistance with your family genealogy). If we cannot verify your family tree and you do not meet any of the other criteria but you still believe you are related and/or feel you need to be tested, you can be tested by paying $175 (at cost to us). If you are found to be positive, your fee will be refunded. If you would like to schedule BFHP to come to your area for a presentation and on-site testing or if you’d like more information, please reach us using our Contact form. We look forward to hearing from you.